LOVE LOVE LOVE. New sneakers, finally! I have been on the hunt for new sneakers for about a month now, and I finally decided to get the pair that I came back to over and over again. 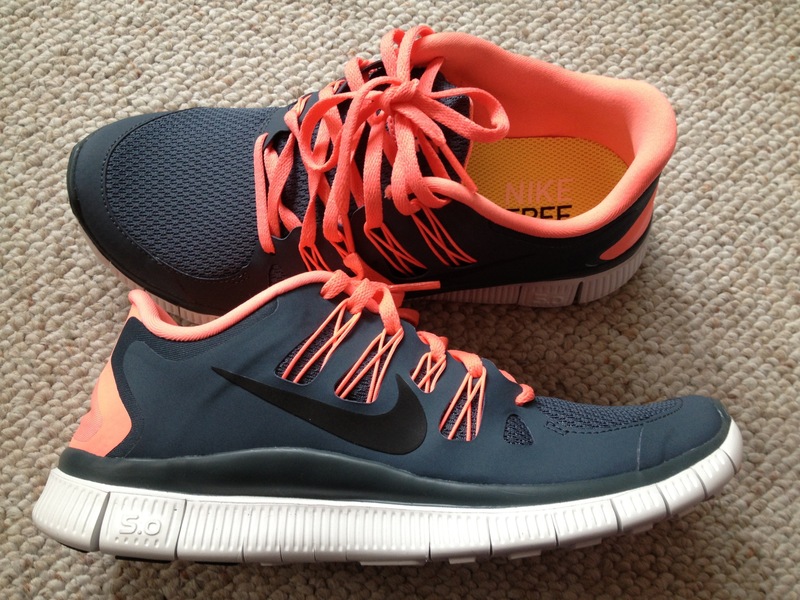 I was pretty certain from the start that I wanted Nike Free 5.0. My real dilemma was what color?! There are so many options, I just couldn’t take it! I finally went with the pair that first caught my eye and it’s been a match made in heaven ever since. Ok, I have only used them twice (I got them less than a week ago and I have been recovering from a nasty cold, OK?!?! ), but so far so good! I have only been able to use them at the gym, though. The real test will be when I can finally get these babies out on the road for a good run. I’ve done a couple of miles on the treadmill in them but you just can’t tell until you are outside. I still haven’t registered for my next 5k race in December, but I look forward to training for it in these bad boys! Ahhh you’re making me want a new pair! Good shoes make a big difference. I look forward to hearing how they road test. I agree. I bought a pair of running shoes a few years ago that cost a ton of money, but due to my injury I haven’t gotten much use out of them. I am to see a chiropractor next week and hope that is the beginning of me getting back into running. I miss it!!! I love love love getting new running shoes!! 🙂 The brighter the better!